The healthcare sector can be one of the most challenging, yet most rewarding fields to work in. When we niche down in healthcare even more, we see a sub-field in healthcare that yields a present relevance–rehabilitation centers. What is it like to work in a rehab center? Below are some of the things you should know before applying to work in this healthcare field. What comes to mind when we think of rehab centers? Do we think of people in white coats and scrub suits, leading away patients who seem to have issues too deep to bear? This may be a common stereotype, but rehab centers are more than that. In fact, there is fulfillment in the calling of helping those who are suffering from substance use. In the US alone, there are 25 million people suffering from substance abuse. The rates of people being admitted to rehabilitation centers continue to rise as the substance use problem persists. This includes patients who are admitted because they are undergoing abuse of illicit drugs, alcohol, tobacco, and prescription medications. Some rehabilitation centers are also dedicated in curing different types of psychological disorders stemming from abuse or life circumstances. All healthcare sector jobs, including those involving rehabilitation medicine, have an average job growth rate of 7%. Those who are interested to work in addiction counseling can expect to have better employment opportunities as job growth will be 22% in the next 10 years. Rehabilitation nurses can expect a job growth rate of 19%. These statistics may be encouraging to any potential employee, but it is important to know the realities of working in a rehab center foremost. Below are 10 things you need to know before applying for a job in the rehabilitation healthcare field. 1. Understand your credentials first. Even if you are interested in helping people with substance use problems, it should be clear to you what role you want to fulfill in this multi-disciplinary field. Just like fields in science or education, rehabilitative healthcare also has different positions to fill in. Do you want to be a doctor in rehabilitation medicine? It is important to understand the career path of being this type of doctor first. Perhaps a specialized nurse may also be an option, but you also need to ensure that you have the right type of license in the state you are residing. Addiction counselors also have their own set of credentials that are important for employment. If you want to work for the best rehab centers in US, you need to perform your research about the specific occupation you wish to take. 2. Get to know the reputation of the rehab center you want to work in. Before applying for a specific rehab center, it is important to also do your research regarding the company. Are they a registered, reputable institution? Do they have verified reviews from previous workers and clients? This is essential because many reports have been made about rehab centers’ fraudulent activities. Some people and insurance companies are scammed, giving poor quality or non-existent services to clients while they take advantage of the payments being made. If you end up working in a center like this, you may not have the proper compensation for your job. 3. Understand the treatment philosophy of the rehab center. As you study and gain experience to become a worker in a rehabilitative healthcare field, you may have developed a school of thought that echoes your beliefs about how patients should be treated. It is difficult to work in a place that doesn’t align with your own principles of patient care. Rehab centers have different ways of how they operate and treat their patients, so it is important to find the ones that you agree with the most. 4. The work can be challenging. Some people with substance use problems often display symptoms of aggression or any other type of heightened emotions. 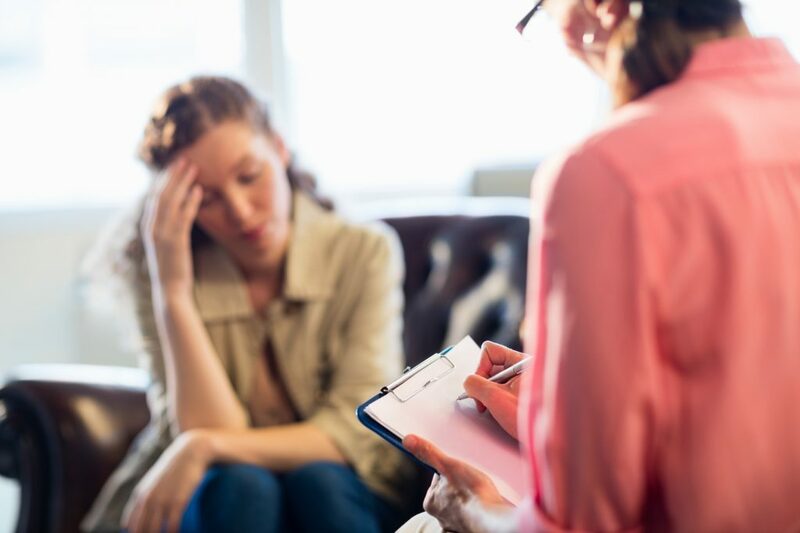 If you do plan to push through with working in a rehab center, be prepared to receive unexpected remarks from patients or even moments of aggression. You will be oriented on how to handle these situations and how to keep you and your clients safe. Understand that this is all part of the job–you are intervening a problem that runs deep physically, mentally, and emotionally. It is important to depersonalize these statements and place yourself in your patient’s shoes. 5. You will meet people from all walks of life. The problem of addiction does not discriminate–it can affect people from all ages, races, and socioeconomic backgrounds. Be prepared to meet people from all walks of life. On some occasions, they can be as familiar as a neighbor, or even an individual who speaks a different language. In rare instances, they can even be high-profile personalities, and at any point you have to understand the importance of confidentiality. If you are someone who wants to experience the challenge of dealing with a diverse group of people, then you may truly consider working in a rehab center. 6. The work requires patience and endurance. Just as substance use disorders took time to develop, it also takes time for patients to recover. You may be happy that a patient you have worked with recently got discharged, only to find out that he is back the following week after a relapse. This may make you question if you have done your best to help or if made any difference at all. This is why this job requires patience and endurance. You need to have the power to motivate, encourage, and show empathy to your clients. These are people who may have gone through difficult life situations, and many of them are still going through some. It takes a strong worker to see through these needs and respond to them lovingly. 7. Sticking by the rules is not optional. One of the ways to find success in working in the rehabilitation healthcare field is abiding by the rules. This applies within your job description, the rules within your rehab center, and how you administer patient care. In other fields such as art or even research sciences, it helps to be creative and find out-of-the-box ideas to accomplish a task. However, working in healthcare, especially those in rehabilitation requires evidence-based practice and working by these principles to ensure that you give the best quality of service. 8. The job requires continuous training. Speaking of evidence-based practice, it is imperative that all professionals working in rehab centers should always be updated with the current methods that are effective for treating patients. Whether you are a doctor, a nurse, a counsellor, or someone who performs administrative tasks in the facility, the protocols often evolve and further training is required. Make sure that your company also offers these growth opportunities for you, because it is also for the sake of your clients. 9. It can be a rewarding vocation. Working in rehabilitative healthcare means you are directly impacting lives–you are playing a role in the 180-degree turn of someone’s life. As patients decide to go on rehab, they are placing their trust upon you to help make that change. This is a high calling that can lead a person towards a better path. No wonder there is a strong demand for professionals in this field–it’s because people desire change, but they need agents of change to help them. Understand that although it can be challenging, the rewarding feeling of helping re-shape someone’s path is also a joy in itself. 10. Your patients appreciate you more than you’ll ever know. When patients pass throughout your years of working in rehabilitative healthcare, it may be easy to assume that it can be a “thankless job” sometimes. However, just like how we appreciate teachers, doctors, public servants, and any other job–know that in the back of a patient’s mind–they appreciate you more than you’ll ever hear or know. Take a changed life as a form of gratitude towards your profession. Although you may not always expect to hear words or encouragement, promotions, or even material gifts from thankful clients, this may be small compared to the contributions you have made to help shift someone’s course in life. Considering work in a rehab center? If you are planning to work in a rehab center, take note of these things. Set a realistic mind towards what you are facing ahead, and you are better off making a wise decision about your career path. Patrick Bailey is a professional writer, mainly in the fields of mental health, addiction, and living in recovery. You can find him on Facebook, Twitter, or LinkedIn.